We'd love to return the favour. Please Contact Us with a short descriptive text, the title and the address of the page you would like us to link to. 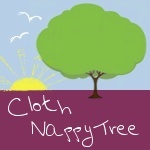 Cloth Nappy Tree - Friendly cloth nappy and parenting community with great reviews, classifieds and articles. Wahm Wonders - WAHM WONDERS - The creative work at home mum dad community. Donations will be used to help Cloth Nappy Tree facilitate the recycling and use of cloth nappies. We are serious about their benefits. If you are too, please consider donating. New year, new craft challenge? Before I pay someone I don't know.